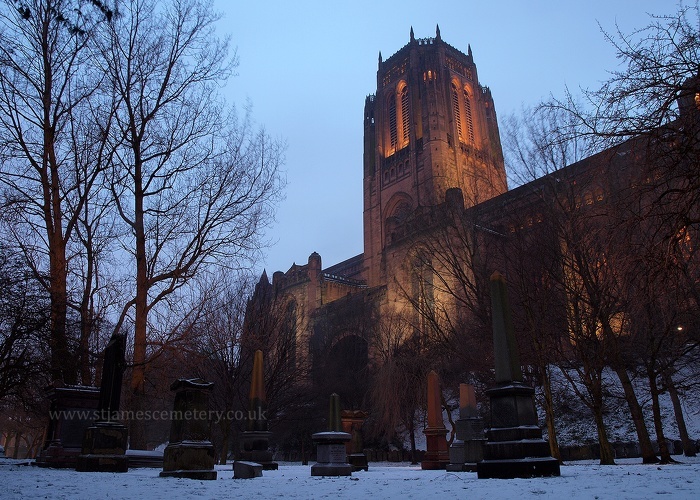 This image shows Liverpool Cathedral viewed at dusk from the north-eastern end of the cemetery, with a variety of monuments in the foreground. All the trees are bare and a light layer of snow covers the ground. This section of the cemetery was originally part of section Av (the vaults).